The Children’s Hands-On Museum of NW Illinois is thrilled to receive an award from the Lincoln-Douglas Kiwanis for sponsorship of the music exhibit in their museum. The music room will include new instruments as well as exploration of sound from various avenues of music. 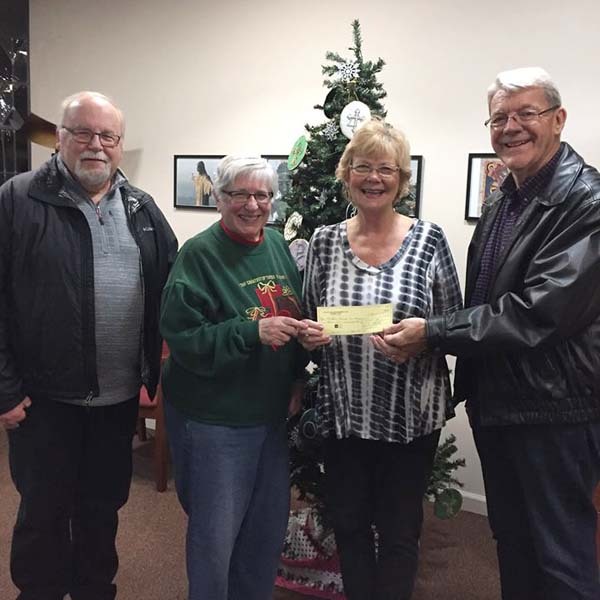 The check was presented by Tom Huber and Ray Schubert at the museum board meeting Thursday evening, December 20. Susan Walt, Treasurer, and Gwynne French, Public Relations and music representative, received the check.